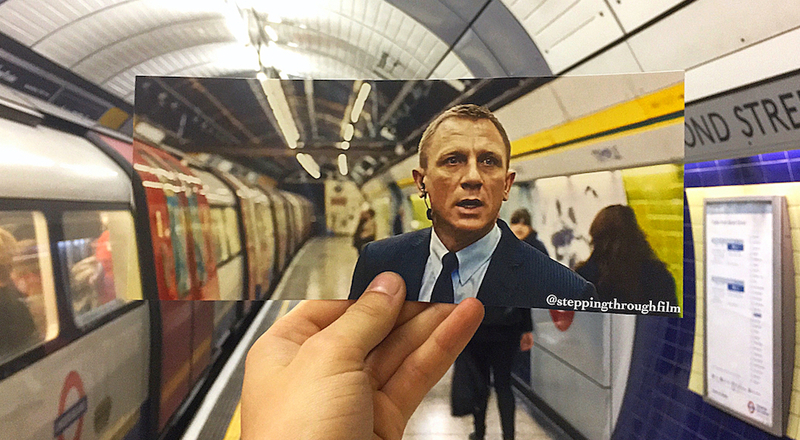 London-based artist Thomas Duke recreates film scenes set in London (and beyond). London is full of famous film sets, and many of them are iconic. Take the bench scene in Love Actually for example, or Mary Poppins flying over the Thames. 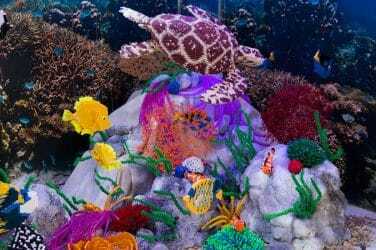 If you’re a bit of a set-jetter, you’ll undoubtably be a fan Thomas Duke’s artwork, where he takes stills from his favourite films to their real life locations and snaps them with the perfect backdrop. 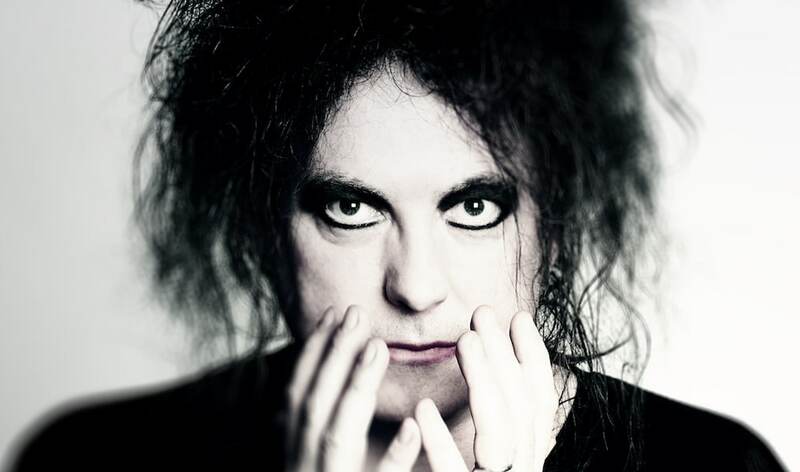 He’s been to around 150 film locations since he started the photography project, and many of them are in London. Duke’s attention to detail is incredible — he really nails the positions, the angles and the perspective in every photo. Here are some of our favourites, but you can follow him on Instagram here. 1. 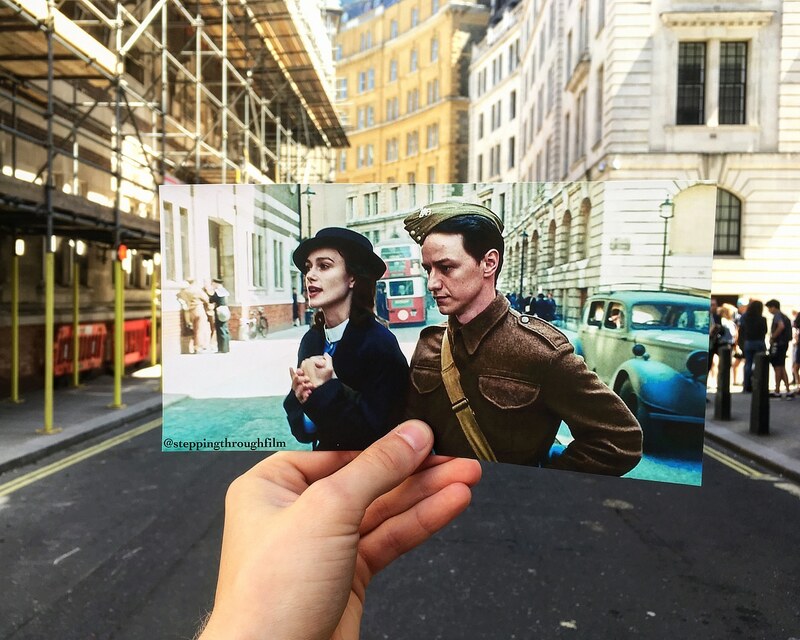 Atonement – filmed at Whitehall. 2. 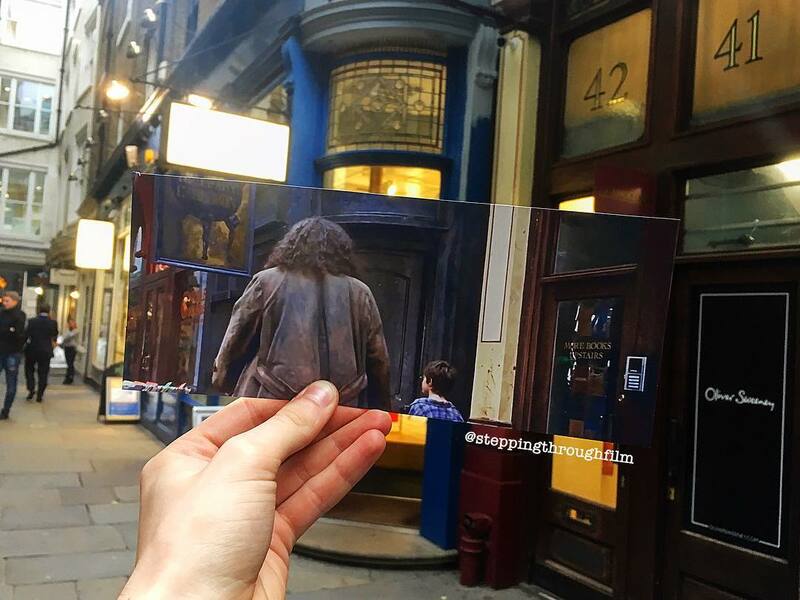 Harry Potter and the Philosopher’s Stone – the entrance to the Leaky Cauldron, filmed inside Leadenhall Market. 3. 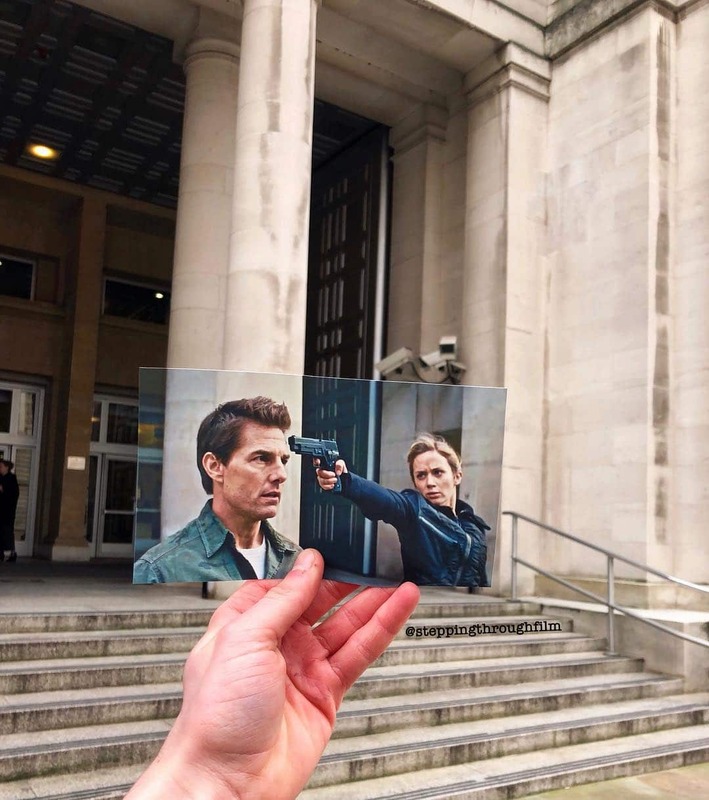 Edge of Tomorrow – filmed at the Ministry of Defence. 4. 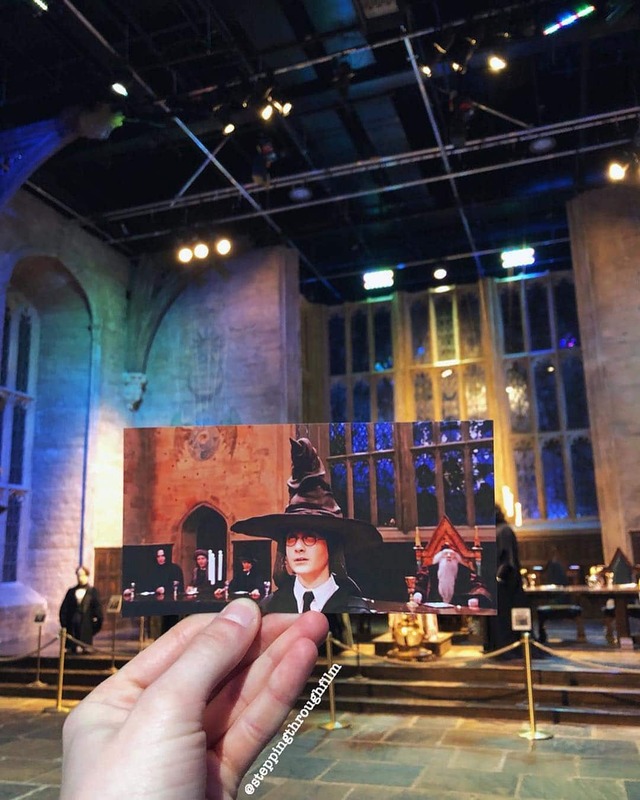 Harry Potter and the Philosopher’s Stone (again) – filmed at Warner Bros. Studio Tour. 5. 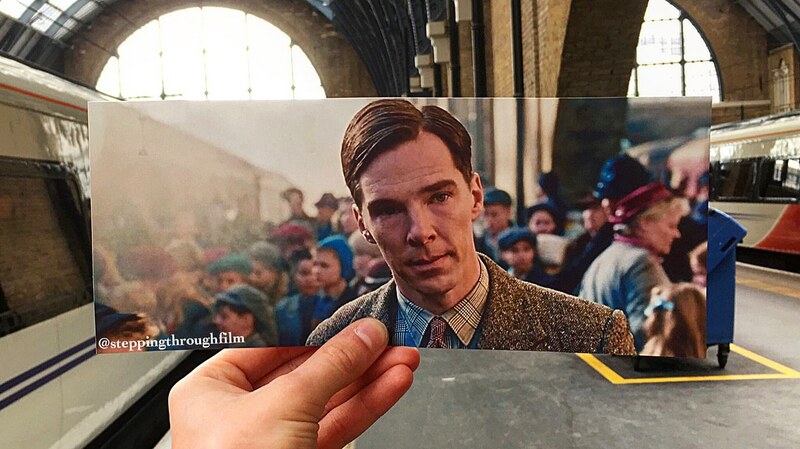 The Imitation Game – filmed at King’s Cross station. 6. 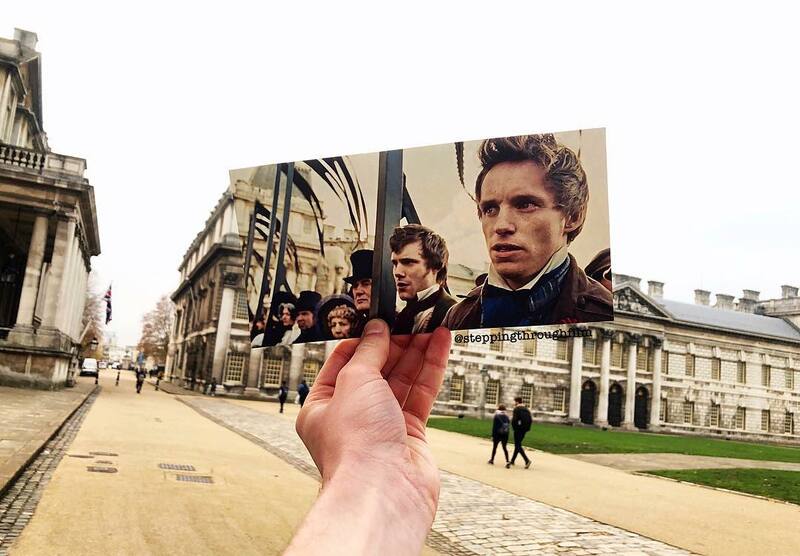 Les Misérables – filmed at the Old Royal Naval College in Greenwich. 7. 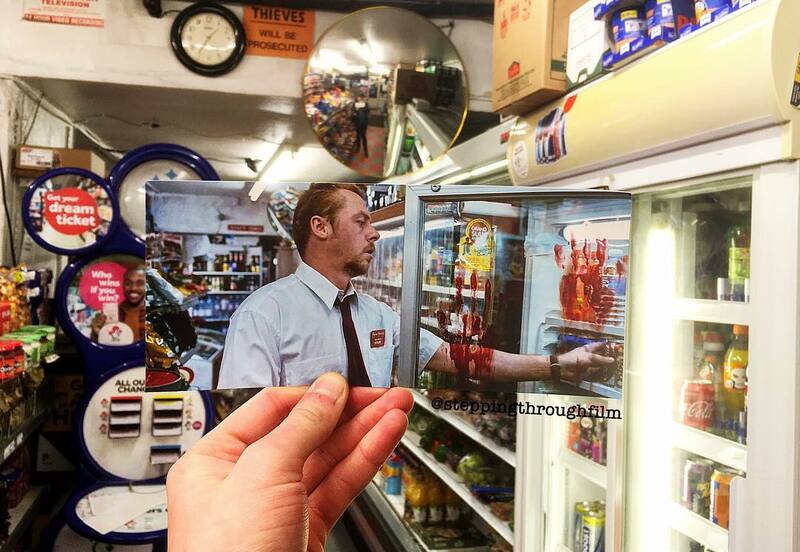 Shaun of the Dead – filmed at Weston Park Grocery. 8. 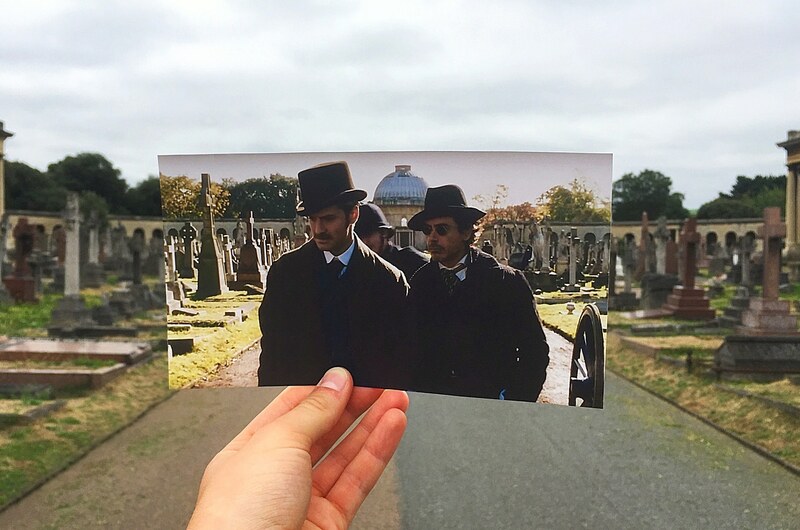 Sherlock Holmes – filmed at Brompton Cemetery. 9. 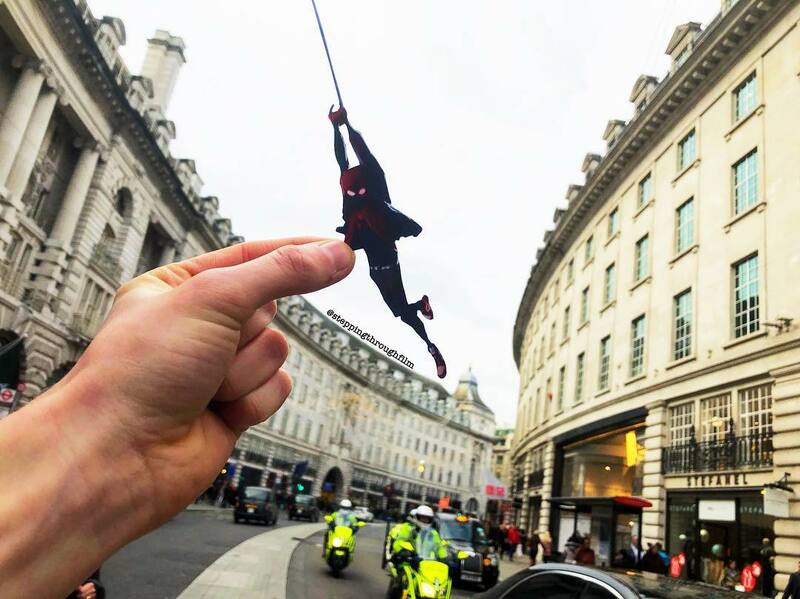 Spider-Man: Into the Spider-Verse – filmed at Regent Street. 10. 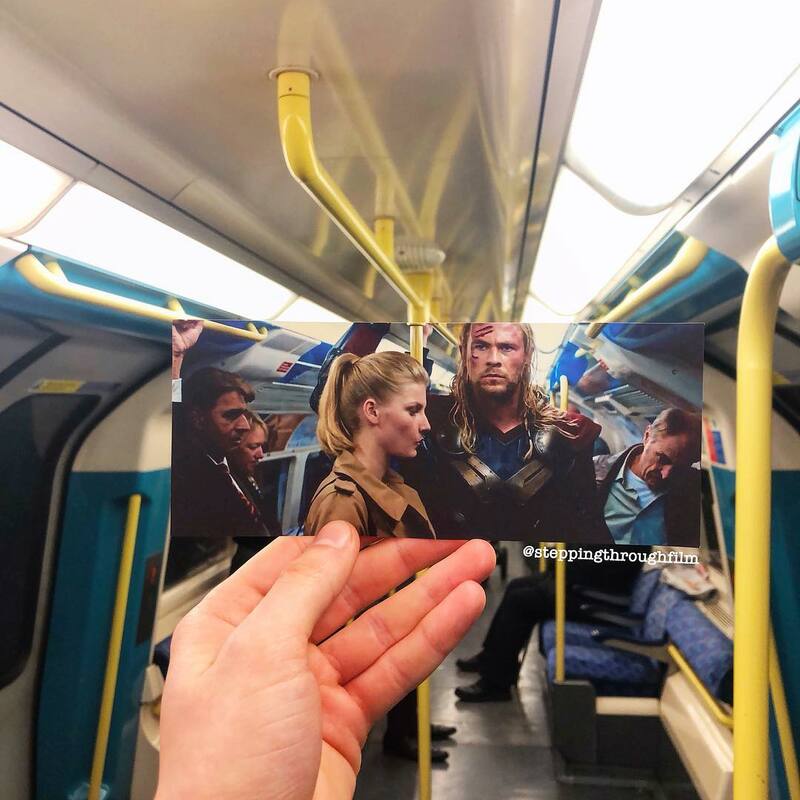 Thor: The Dark World – filmed on the Jubilee line. 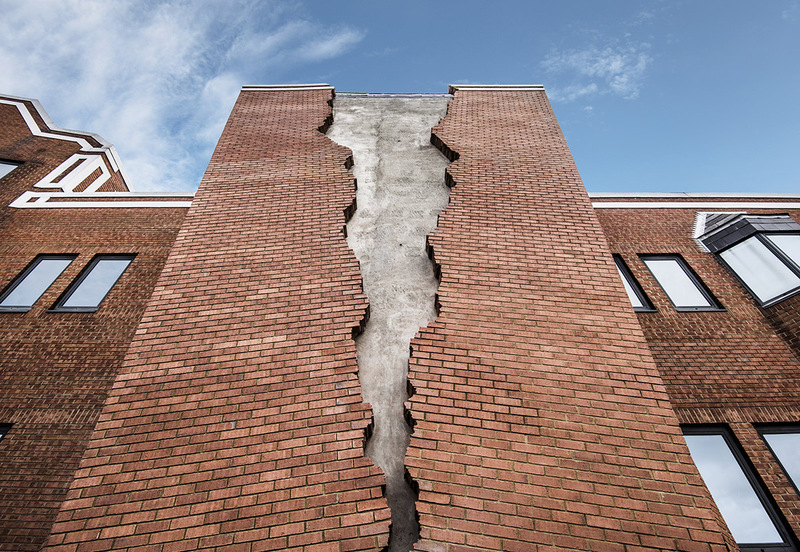 All images are courtesy of Thomas Duke. Follow him on Instagram here: @steppingthroughfilm. See also: this boujee private tour of The Crown’s filming locations.